So let’s say you are a supremely powerful Mad Titan on a never-ending quest to impress the anthropological personification of Death. To do this, you concoct scheme after scheme in an attempt obtain near limitless power and murder half the galaxy. You could go on this insane venture completely alone, or you could recruit some equally mad generals who want nothing but destruction and chaos. Which do you choose? Well, if your name is Thanos, then you choose the latter, and his Black Order will strike fear in the heart of anyone who stands in their way. 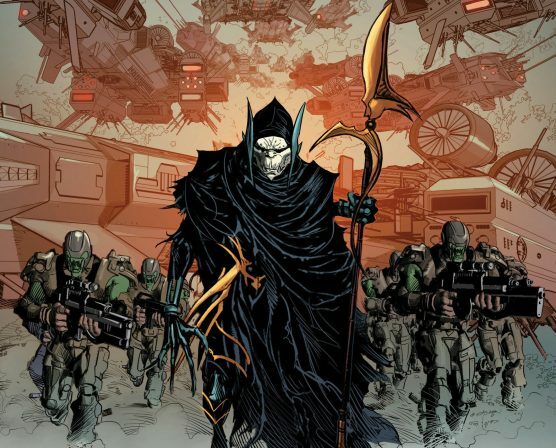 Thanos’s favorite general, he is quite possibly the most diabolical member of the Black Order. With an ever-present aura of egotistical superiority, Glaive is as cruel as he is brilliant. A master tactician and expert fighter, there is little he has to fear as long as he holds his favorite weapon. This is because the special glaive he wields (and takes his name from) also grants him immortality. Unfair? Yes. Does he care? No. Add in a healthy dose of super strength with enhanced speed and agility, and it’s easy to see why Glaive is a force to be reckoned with. 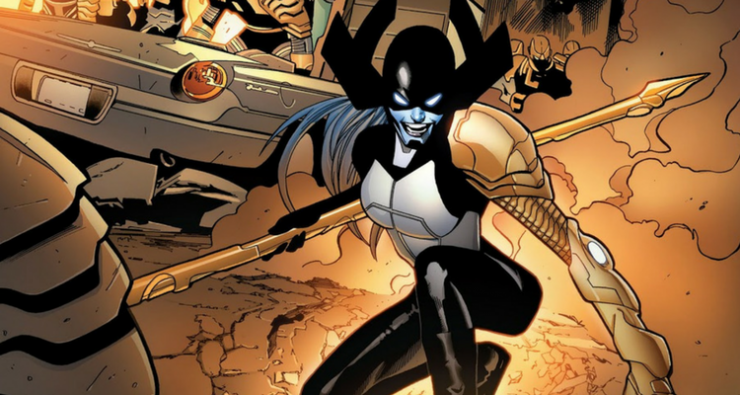 Standing amid the wanton destruction, side by side with her husband Corvus Glaive, would be Proxima Midnight. Every bit as cruel and vicious as her spouse, Proxima also has a similar power set: strong, fast, and a phenom in hand to hand combat. Her favorite weapon is a spear gifted to her by her master, Thanos. This spear contains a star trapped within a singularity and has the ability to transform into a poison-tipped lance capable of bringing down even the fiercest of enemies. When thrown, the lance never misses and will follow its target like a homing missile. 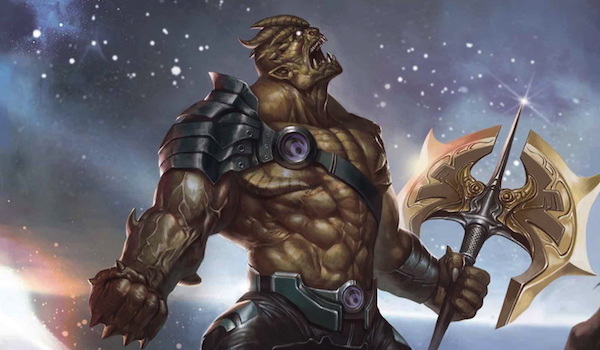 Despite his name, Black Dwarf is the largest and most imposing member of the Black Order. With a stature to rival the Thing or the Hulk, Black Dwarf could likely hold his own against either of them one-on-one. He is easily the strongest of Thanos’s generals, and Black Dwarf can withstand powerful attacks from multiple opponents simultaneously due to the density of his body and his nigh-unbreakable skin. Top that off with a gigantic, double-bladed axe, you’d best run if you see Black Dwarf coming your way. Unlike his cohorts, this one prefers not to get his hands dirty, at least not physically. 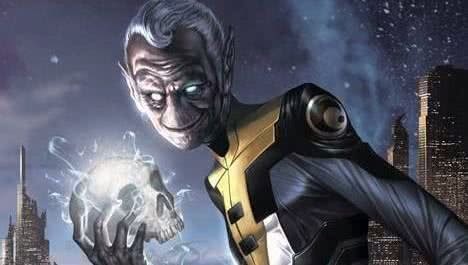 Considered to be the “thinker” of the Black Order, Ebony Maw uses his genius level intellect rather than his fists to achieve his goals, but that is far from the only weapon in his repertoire. Persuasion is his most devious power, and the alien has a near-supernatural gift in convincing others to do his bidding for him. Even heroes with strong wills, like Doctor Strange, are helpless when Ebony Maw whispers a suggestion into their ear. Like Ebony Maw, Supergiant prefers to use her mind to defeat her opponents. As an Omnipath, she is able to read and control the mind of any sentient species. Once someone is under her control, Supergiant becomes a mental parasite who can devour the mind of her prey after she has finished playing with her food. If that wasn’t bad enough, her powers even expand into the realm of complete psychic possession, where she can control someone over great distances or even multiple people simultaneously. You can argue that Thanos doesn’t really need generals – after all, he is an all-powerful being capable of chaos and destruction of an unprecedented magnitude all on his own. But if you had a dream team of villainous underlings that could help you along, wouldn’t you use them? You can see Thanos and the Black Order on the silver screen in Avengers: Infinity War this week. Which villain are you most excited to see make their Marvel Cinematic Universe debut? Let Your Geek Sideshow and let us know in the comments!